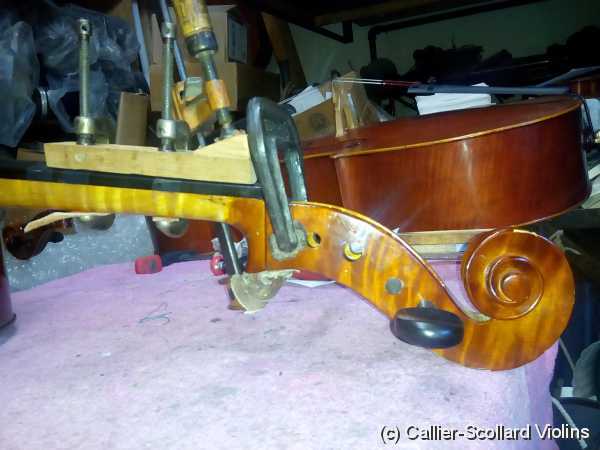 Here is a cello scroll that had been repaired before by another shop. 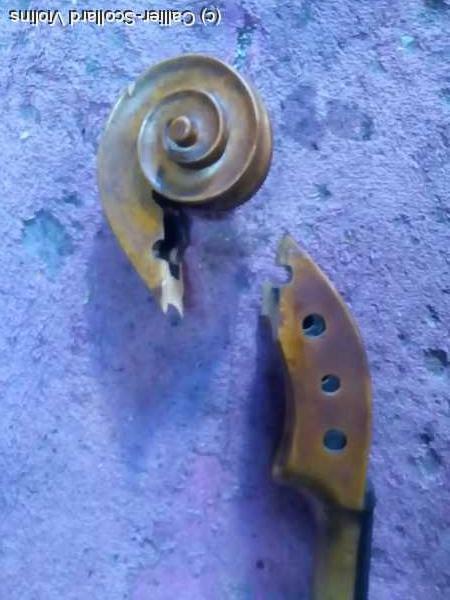 I believe it was dropped again and the scroll broke in some new spots and also at the original break. 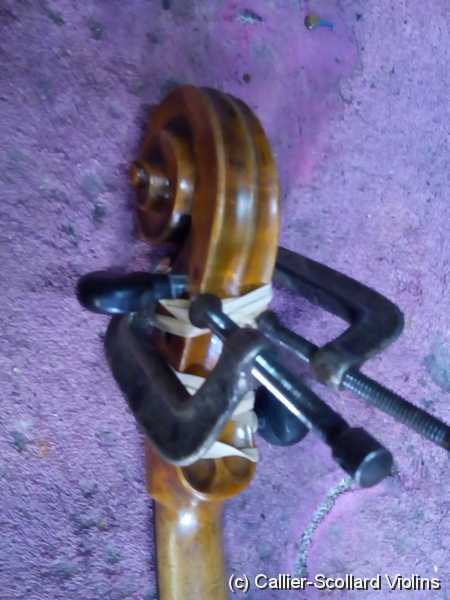 Here is a photo of the clamping process. 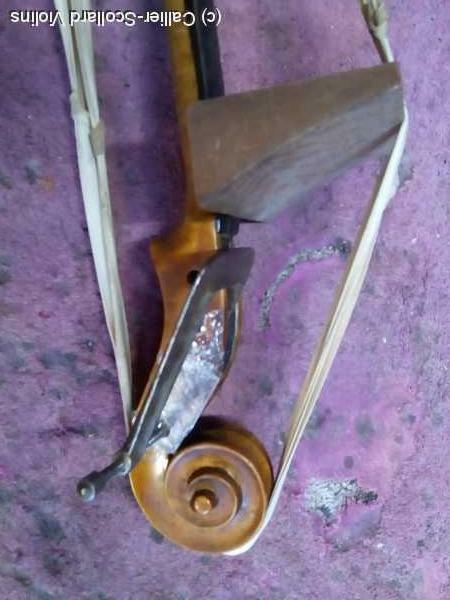 Here is a small size cello with a broken scroll. I believe it had been broken for quite a while. It would not line up on all three sides at the same time so I had to clamp one side at a time. Sometimes using rubber bands gives a little extra pressure in the appropriate direction..